Recent release “Real Life, Real Love, Real Loss: The Last Letters” from Page Publishing author Frank Sims Jr. is a prolific memoir that explores the ideas of personal identity and finding one’s self. 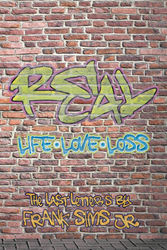 Frank Sims Jr., a prison inmate, devoted writer and author, has completed his first book, “Real Life, Real Love, Real Loss: The Last Letters”: a passionately crafted work that portrays the beauty, reason and understanding of life. Published by New York City-based Page Publishing, Frank Sims Jr.’s enlightening work depicts the mother and son relationship. Realism—regarding things as they are; to be realistic. What makes one real? Is it to simply exist, to be oneself, to be loyal to facts, or is it the ability to examine the world in real time and to comprehend the actuality? Realism is the ability to remain true despite outside influences, illusions that deceive the mind into believing something that’s not real, accumulating into an outcome of wishful thinking while ignoring facts. Simply existing testifies to real; the fact that people can track events in real time testifies to the fact that they all possess the ability to be a realist. “I am personally a realist; all of my decisions are based on facts, not on the outcome I most desire. In 2012, I experienced my greatest loss. The death of my mother. I have lost many things before, but nothing of this magnitude. Within my body, there are two contradicting forces, heart and mind. My heart, as deceptive as ever, used the love that I have for my mother against me. It deceived me into believing that she would live forever. My mind, not accepting the deception, influences my heart by considering the fact to date that what lives, dies,” says author Frank Sims. No matter how people decide to view things that take place over time, over the course of their lives, there is one true and undeniable fact. It’s real. All have, at some point in their lives, experienced real. Real life, real loss, and real love. In recognition of how real experiences have affected his reality, the author has endeavored to capture them in the form of a book. In this book, he relates how real life, real love, and real loss have led him to his present circumstances—serving a fifteen-year prison sentence. Readers who wish to experience this profound work can purchase “Real Life, Real Love, Real Loss: The Last Letters” at bookstores everywhere, or online at the Apple iTunes store, Amazon, Google Play or Barnes and Noble.